While Apple's main focus was on the introduction of the Apple iPad Pro, the company also introduced the fourth generation of the Apple iPad mini during its press event. With its introduction, Apple now has their variant of their iPad on offer to users in three distinct form factors. 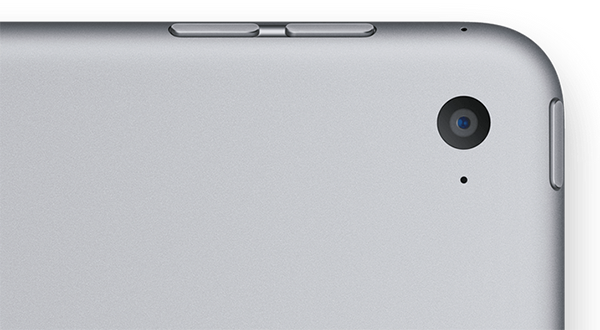 As expected, the iPad mini 4 design is clearly inspired by the Apple iPad Air 2. 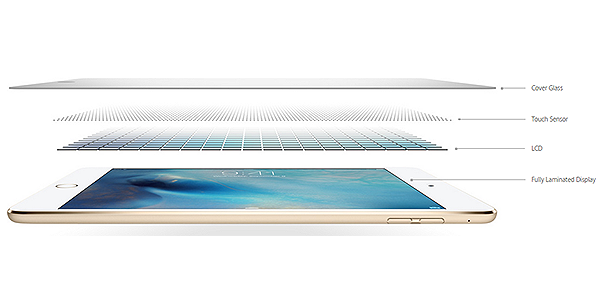 You have the new tablet in an ultra-sleek form factor, which has been fitted into a 6.1 mm profile, compared o the 7.5 mm thin iPad mini 3. Apple has chosen to leave the display size as it was, offering the same 7.9 inch Retina Display with its 2048 x 1536 pixel resolution. These 3.1 million pixels result in a 326 ppi pixel density. Apple has also borrowed the display technology from the iPad Air 2, outfitting the three display components into the iPad mini 4 panel, for life-like images. 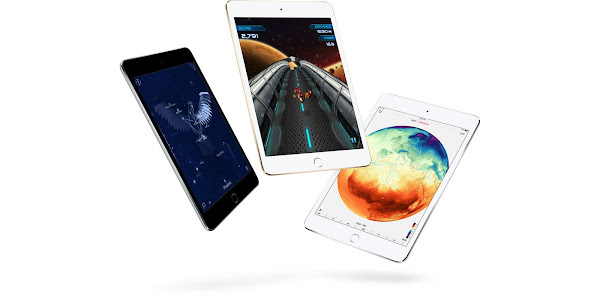 The Apple iPad mini 4 has been outfitted with an Apple A8 processor and M8 motion co-processor, which debuted on last year's iPhone 6 and iPhone 6 Plus. The 64-bit architecture on this chip improves CPU speeds, and offers impressive GPU graphics, making the iPad mini 4 a significant upgrade over its predecessor. The newest iPad mini has been outfitted with an 8 megapixel camera on its rear, while a 1.2 megapixel Facetime HD camera in front handles video calls and selfies. The rear camera supports video stabilization, and has the ability to record 1080p videos along with slo-mo video at 120 fps. Apple has remained consistent with the battery life offered on their iPads, and the new iPad mini 4 stays true to the 10 hours of usage despite the upgrade in performance and features. The Apple iPad mini 4 will ship with iOS 9 out of the box. The latest version of Apple's mobile operating system has been built with the iPad in mind, and the newest mini version will take advantage of many of its features. iPad mini 4 users can take advantage of features like Split View, Slide Over, Picture-in-Picture and more. The Apple iPad mini 4 will be offered in Space Gray Silver or Gold. The rose pink option offered on the newest generation of iPhones will likely remain a smartphone exclusive for now. The iPad mini 4 can now be purchased online through the Apple Store. Shipping will take around 4-6 business days.